Teenagers can have trouble seeing how their current behavior can affect their futures. As the adult in their life, it is up to you to help them see how a bad attitude can damage their future prospects. He’s experienced a relationship change – This can be a multi-layered problem which will take careful examination. Perhaps he is lashing out after his parents’ divorce, some other out-of-balance family dynamic, ended a romantic relationship, or suddenly changed his group of friends. Many boys are taught to contain emotions and without an appropriate outlet, these emotions can burst out. 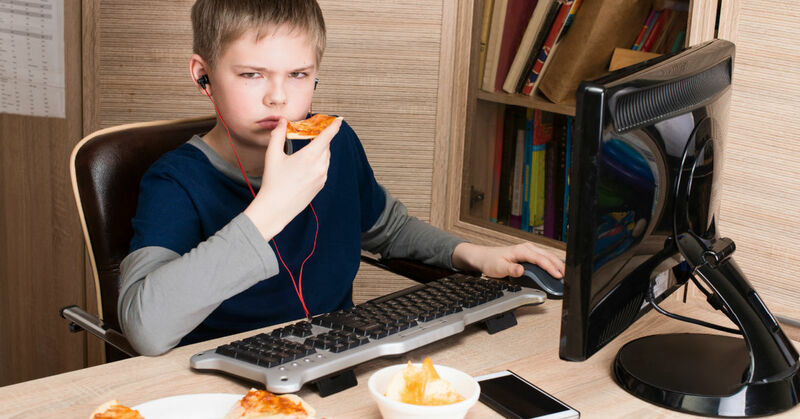 His poor diet choices are affecting his mood – Sometimes it seems teenage boys can (and will) subsist off of Doritos and Mountain Dew, but a poor diet can actually contribute to your son’s mental state. Research has been correlating links between nutrition and the staving off of certain diseases as well as how eating a more complete diet can actually improve one’s mental health. He is struggling to complete schoolwork – If your son is struggling to finish his daily homework, there could be more going on than him simply not paying attention in class. Boys are three times more likely than girls to struggle with ADHD, which can make school incredibly difficult. Or your son may have fallen far enough behind that he needs extra help to catch up and comprehend. With sarcastic and negative attitudes being lauded on social media and TV, it can be easy for your son to find examples of people who are “fine even though they have a bad attitude”. But as with many teens, he likely doesn’t realize how carefully cultivated these appearances are.While a negative attitude won’t land a teen in jail or even boot camp, constantly lashing out and resisting parental help has turned many parents to find help from therapeutic boarding schools. Negativity takes years off a person’s life. Future romantic relationships will be destroyed by negativity. A consistently bad attitude ruins a workplace. Sometimes it takes a complete change in scenery to help a teenager to break out of bad habits and begin rebuilding his life. Here at Help Your Teen Now, we are invested in your son’s future and offer help to find a stable, therapeutic environment for him to begin his process to future happiness.